The new academic year at Concordia Lutheran Theological Seminary started off with a bang when over seventy pastors, students, staff members, and supporters of CLTS gathered to celebrate Holy Cross Day and commemorate the recently published commentary on Ephesians by the seminary president, Dr Thomas Winger. 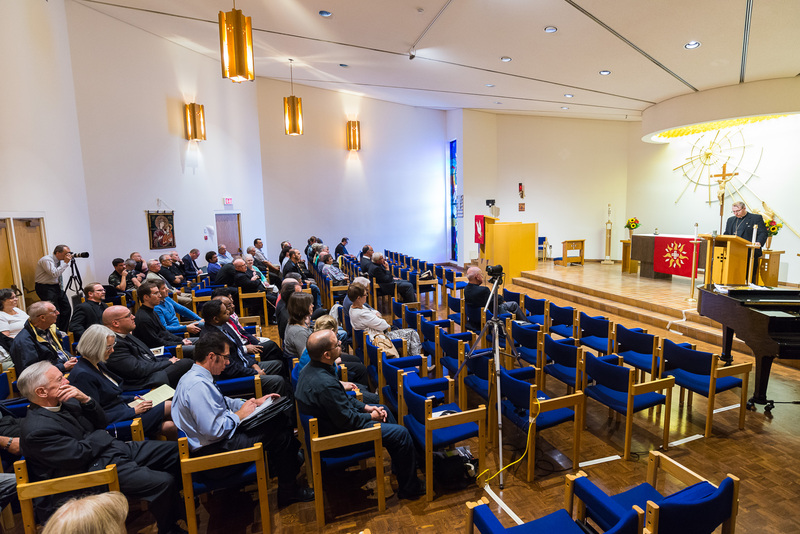 The free one-day symposium was organised under the title, “ ‘You Then, My Son’ – Pastoral Perspectives on Paul”, and in addition to the jubilian himself, included presentations from three speakers: Revd Warren Hamp from Faith Lutheran Church, Kitchener; Dr Stephen Westerholm, Professor of Religious Studies in McMaster University; and Revd Esko Murto, a visiting scholar and the newest addition to the faculty of CLTS. Dr Lawrence Rast, president of Concordia Theological Seminary, attended to congratulate Dr Winger on behalf of our mother seminary in Fort Wayne. In his presentation, which Dr John Stephenson, the main organiser of the event, also dubbed his “severely delayed inauguration lecture”, Dr Winger expounded on the way the Gospel of Matthew describes the pastoral formation of the twelve disciples. ­Although Jesus gives the disciples themselves the authority to heal diseases and even raise the dead, one never gets the impression that they are at His side merely to learn a technique. They are His witnesses. They watch Him raise the dead so that their puny faith would be strengthened to believe that He is truly the Holy One of Israel. And they watch Him so that they can be His witnesses, to testify to Israel and the Gentiles to the truthfulness of the Gospel. Where did Paul get the idea that the minister is to preside over the Church as over a household? From our Lord Himself, who entrusted His stewards with all that He had commanded them, giving to them the keys to open the very treasuries of heaven, so that until He returns they might feed God’s children with the riches of His storehouse. May we be found faithful in the same task! As the day served also as the opening of the academic year, the tradition of granting awards was observed in the closing Vespers. 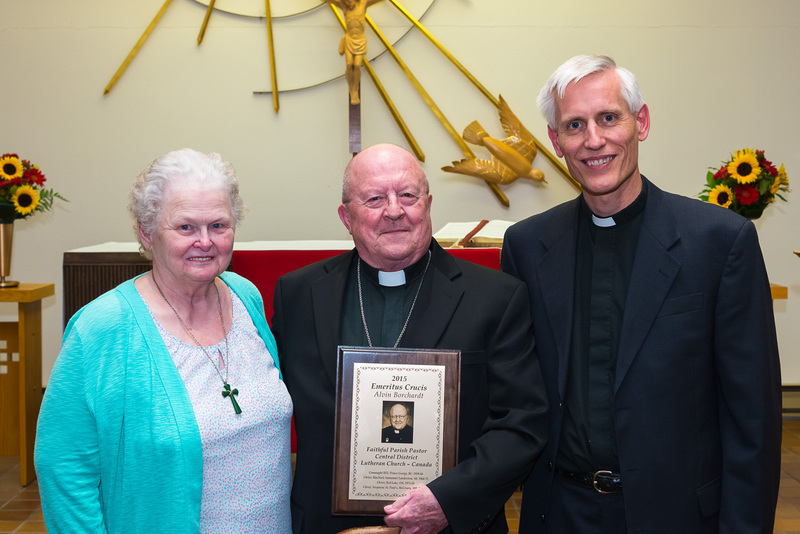 Revd Alvin Borchardt received the Emeritus Crucis award in recognition of more than 50 years of parish ministry. The award was given on behalf of LCC’s Central District, where Pastor Borchardt served the majority of his ministry. The Seminary Guild, responsible for much of the heavy lifting in practical arrangements, provided the participants with a free Mediterranean-themed lunch. The day culminated with a banquet at Alphie’s Trough, an on-campus restaurant with long academic tradition at Brock University. 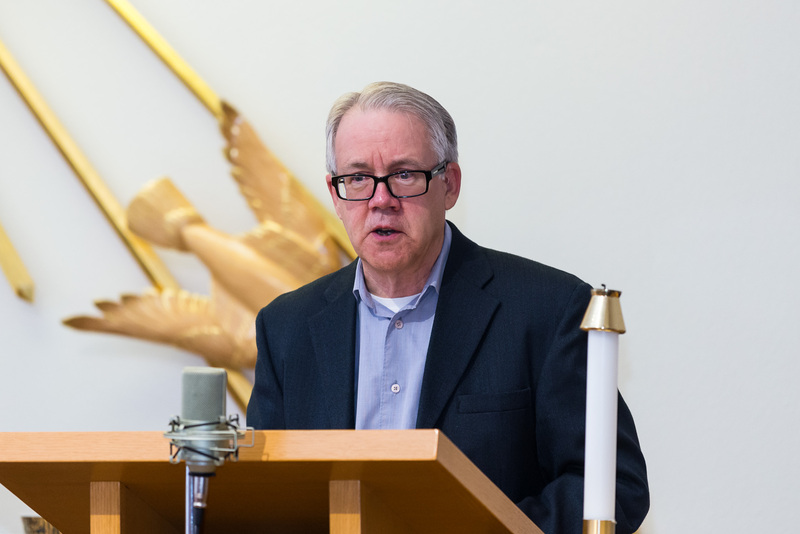 Joyous fellowship, shared devotions and theological content deeply rooted in the shared faith of the Church amalgamated into a symposium that served well to equip the students, the faculty, and the friends of the seminary for the year to come. Video recordings are available on the seminary’s YouTube channel. The essays may also be published in written form at a later date.